Nurse-physician relationships are central to positive patient care outcomes and organizational success. While nursing and medical perspectives may differ in fundamental ways, we know that all members of the team desire the same ultimate goals. Fostering positive, respectful, and productive relationships between nurses and physicians is in everyone’s best interest. With this universal intention in mind, we explore strategies for fostering high-level productive working relationships between the nursing and medical communities within medical facilities. Relationships are built upon the foundation of communication. Most nursing and medical educational models focus more on relationships with patients rather than with colleagues, and this is a grave oversight and a disservice to all parties. If colleagues cannot communicate effectively, how can we expect optimal outcomes from the care we work so hard to provide? Communication can be both subtle and less so. What a person says may not be exactly what they mean, especially when strong emotions are at play. Hidden meanings abound, and body language and silent forms of communication must also be considered. Our strategies for communication are also informed by our upbringing and cultural background, not to mention our relative success in previous relationships. Those clinicians who are most attuned to the subtleties of communication are generally more effective in their relationships with others. Listening skills are a keystone of communication, as are emotional and relational intelligence. Thoughtful organizations will foster these skills in all staff members as a means to improve team cohesion and quality of care. Respect must be the grounding force of all nurse-physician relationships and communication. 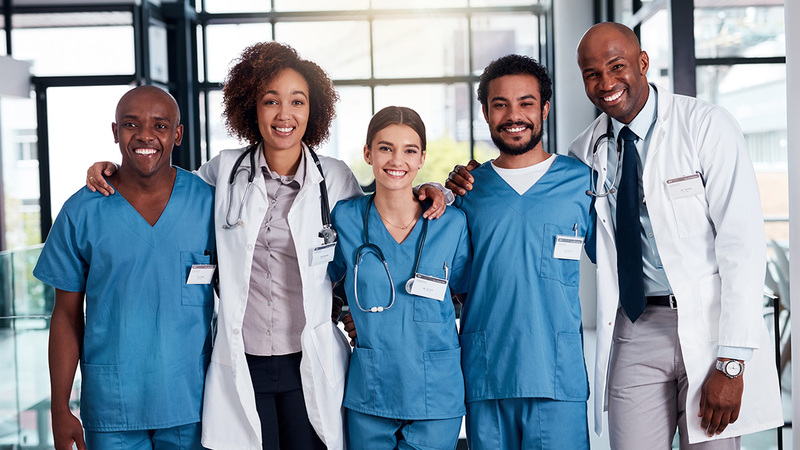 Nurses must respect the educational background and approach that physicians utilize in their work; similarly, physicians must understand and respect nurses’ unique contributions from the perspective of nursing science and training. Bullying is a rampant problem that undermines nurse-to-nurse relationships and workplace culture. No matter the root cause, nurses are sensitized to the reality that relationships and the work environment can be positively and negatively impacted by how we treat one another and whether or not aberrant behavior is tolerated. There are indeed documented instances of doctors bullying, intimidating, or otherwise abusing nurses, just as there are similar reports of seasoned nurses treating medical residents and interns with great disrespect, and vice versa. This is untenable, and each workplace must do its due diligence to foster teamwork, cooperation, and respectful communication in the interest of both patient care and employee wellness and retention. As already established, communication is central to successful workplace relationships and exceeding patient care goals. Healthcare is a human-centric endeavor, and clear lines of communication must be developed and nurtured. Communication skills and emotional intelligence can be taught, and forward-thinking progressive healthcare institutions will make it part of their mission to foster environments where everyone can thrive, even if mandatory communication workshops are needed to achieve that aim. A particular theory and practice known as non-violent communication (NVC) has been successfully employed in corporate environments, and healthcare facilities could actively pursue the incorporation of these skills into nurse-physician relationship-building. In the end, nurses and doctors must learn to listen, understand one another’s perspectives, and feel compassion for the struggles and challenges faced by their hard-working colleagues. No matter the apparent differences, common ground is there to be found. In any environment, if we can acknowledge our mutual humanity, admit to our flaws, and identify shared goals, it will be easier to meet with success on our mutual road to the delivery of optimal patient care and the experience of ultimate career satisfaction.